Want to watch a magic trick? How about a whole slot game full of them? Well, now you can with the Magic Touch slot game from Nextan. Here’s a quick way to make money appear out of thin air, while you get entertained by the game’s magical theme. Magic Touch has been developed by Nextan, which is known for their excellent casino experiences made possible through their great game design. 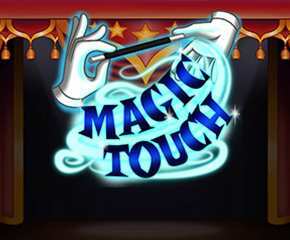 Magic Touch is a 5 reel, 3 row and 25 payline video slot game, which has its theme as that of a magic show. While you may not exactly be able to pull any rabbits out of hats here, there are plenty of symbols around that seem to suggest that you can. There are the rabbits, doves, treasure chests, playing cards and other symbols all suggestive of a magic act put on display just for you. There is even the magician’s assistant to help the tricks happen. All you need to do is to place your minimum deposit and then start spinning those reels. Wild Symbol: The wild symbol in Magic Touch is the magician. If you find him on the reels, you can use him to represent another symbol so that you can get a payline that wins some cash for you. Free spins: The scatter symbol is the pretty assistant and getting three or more of her will give you the free spins, but only if you get them landing within the magic portals area of the game. This way you can expect 10 free spins, which do not come with any wager multipliers. During the free spins round, however, you have four magic portals that appear, which means you have more chances of getting payouts. Magic Portals wild transformation: This bonus feature appears if you get wild symbols within the magic portals area of the reels. That will turn adjacent signs into wild symbols so that you can make even more money. For a basic slot game, we found that the magic portals wilds transformation added a pleasant twist to this game. It certainly helped in terms of payouts. The RTP of the game is 96.6%, which we admit is a pretty great deal for a slot game of this genre. 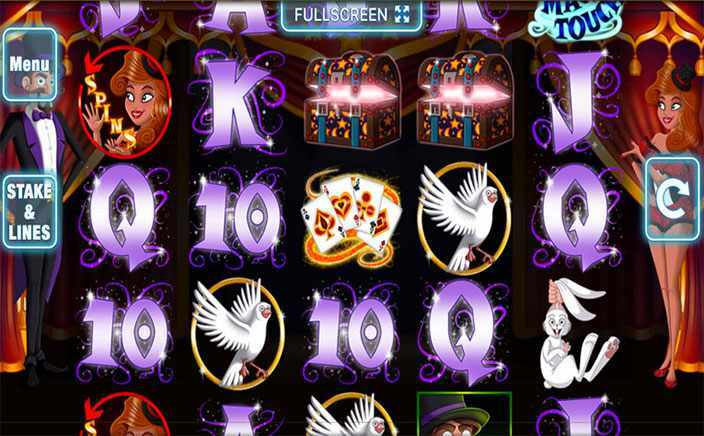 All in all, it is a slot that you can have some fun with as long as you are willing to be patient before you see any returns, particularly with the magic portals having to be activated before you can win any real prizes.